SRtRC Honorary President, Shaka Hislop. As the game bids farewell to one of its greatest players, ambassadors and advocates, I cannot help but recall the couple of occasions that I met Cyrille Regis. He stood at 6 feet tall, a few inches shorter than I am or how I grew up imagining him to be. What was exactly how I had always imagined was his quiet command of all around him. His smile brought people in, and though you always felt welcomed like family, people revered him. And that is what I remember. That is how I always felt about him, the man that I thought so much to me in my mid-teens. My impressions and understanding of Cyrille are far different to most in the UK. I, shaped by my upbringing in Trinidad and Tobago, and as all teens should, had this idealistic view of the world. Cyrille was an idol to me because he looked so much like me. I was totally unaware of much of what Cyrille had to endure in an effort to earn a living doing something that I was able to take for granted. The few black faces we saw on our screens was simply reflective of the few black faces that made up a part of British society...or so I thought. It wasn’t until I went to university in the US that I began to truly appreciate the role of race and racism in society. It wasn’t until I arrived in the UK that I began to understand their roles in sport. And now all of a sudden Cyrille Regis meant so much more to me. The accolades that have poured in since his passing are all fully deserved, and yet he was so much more to so many more. I think that’s because Cyrille Regis gave hope not just to footballers, or athletes, or athletes of colour. Cyrille Regis gave us all hope that doing right always wins, that no hurdle is too high. Cyrille made us believe in ourselves. In Cyrille I recognized that the struggle is so much bigger than ourselves, yet it is always worth it. 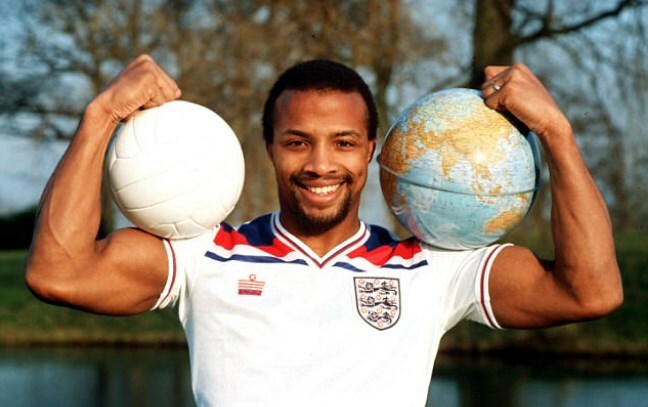 Regardless of who you are, your station in life, we all owe Cyrille Regis a debt of gratitude, whether you recognize that or willingly dismiss it. On meeting Cyrille I immediately recognized exactly how much I owed him, and knew that I’d never be able to repay him. My only hope is to one day pay it forward.